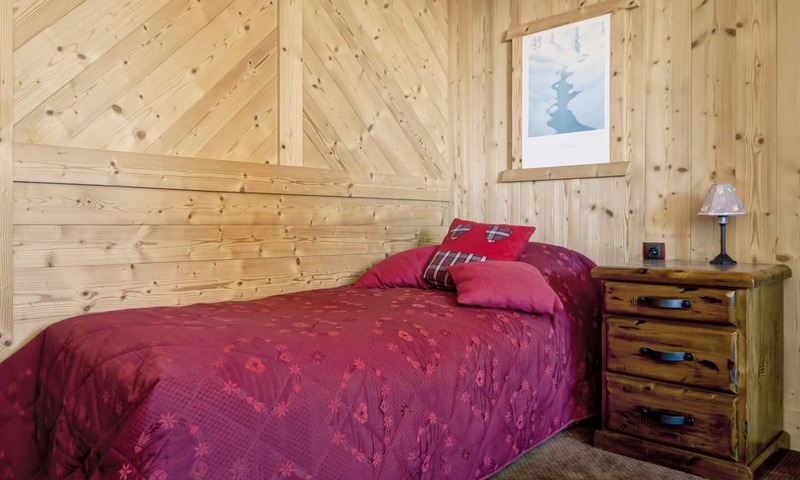 A warm, cosy and intimate chalet, Chalet Rose provides space and comfort for the perfect stay in Plagne Centre. 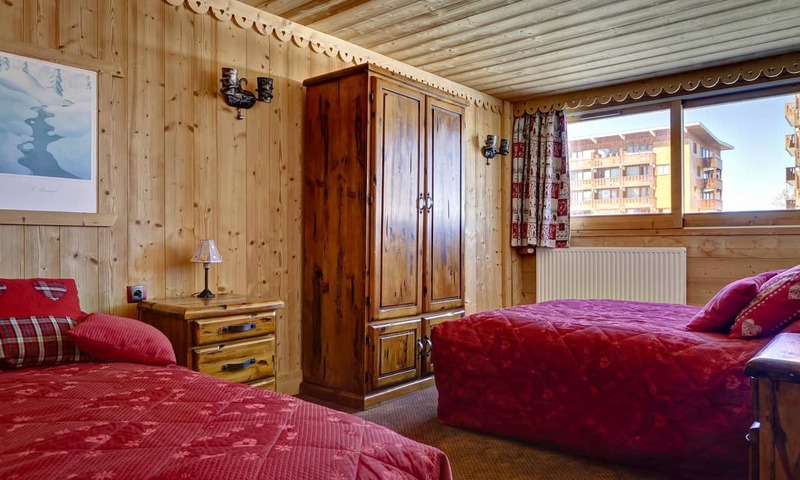 Traditional Savoyard style decor with an oak interiors ensures that it is a perfectly welcoming space, particularly after a challenging day on the slopes. With its open-plan lounge and living area, there is lots of room to sit around and relax together. Guests love to sit on the comfortable couches in front of the large fireplace and enjoy some afternoon tea and some home-made cake. There is also access to a fabulous south facing balcony should you wish to drink in the alpine air while enjoying a warm drink. 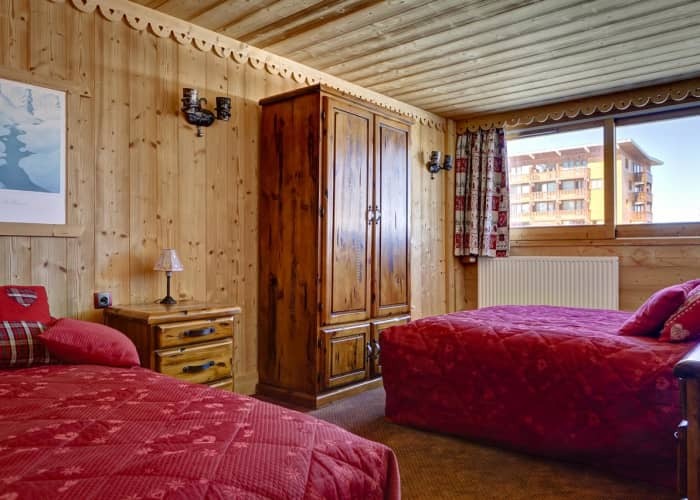 This chalet can cater for up to 8 people with its 3 bedrooms. 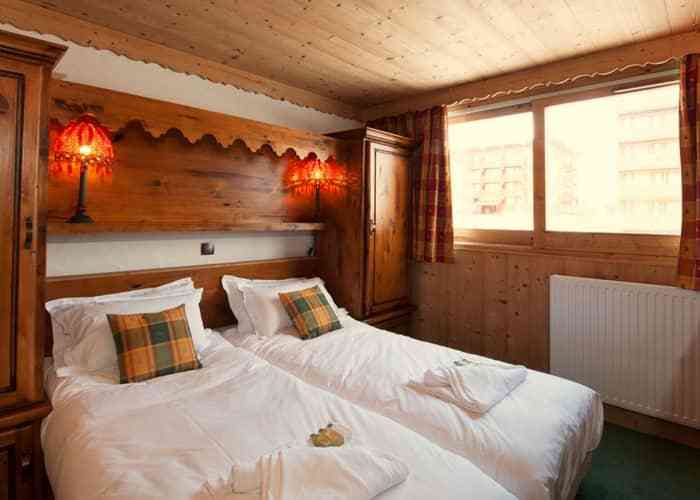 There is one double and a twin room, which have adjoining rooms with bunk beds in them- perfect for kids. There is also a separate twin bedroom and all rooms have an en suite bath and WC. 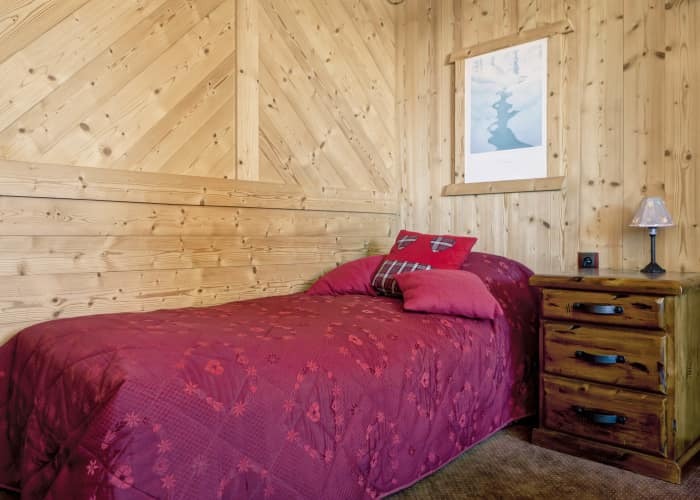 The chalet overlooks the Plagne Centre pistes and the ski school meeting points meaning that hitting the slopes can be super easy. 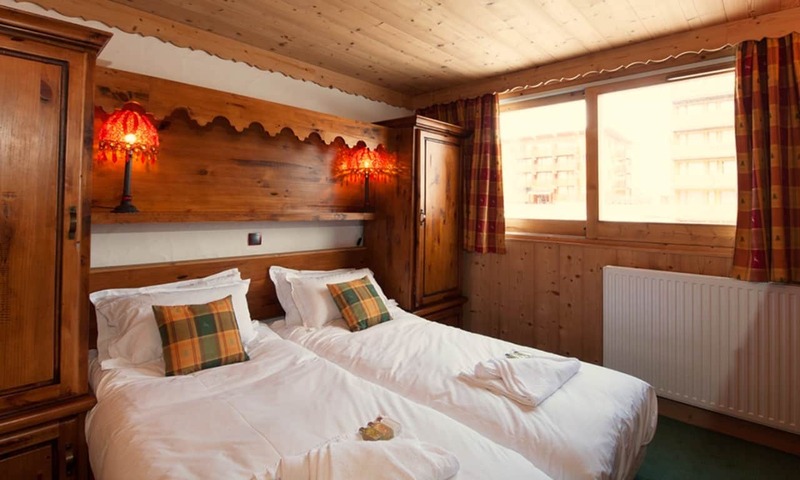 Enjoying the best of both worlds, Chalet Rose is perfectly located for those who want to hit the slopes without too much hassle but can also boast easy access to some of the most popular aprés-ski spots including the much loved Scotty’s bar the Igloo bar, both less than a five minute walk away. This property is a Catered Chalet Catered basis with breakfast, afternoon tea and 3 course evening meal with wine served daily. 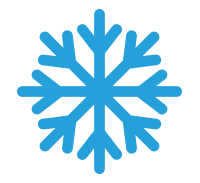 Please note, that the chalet host gets 1 day off each week and on this day breakfast is on a self-service basis and no dinner is provided.